On Friday we found ourselves in Everett with a little time on our hands. 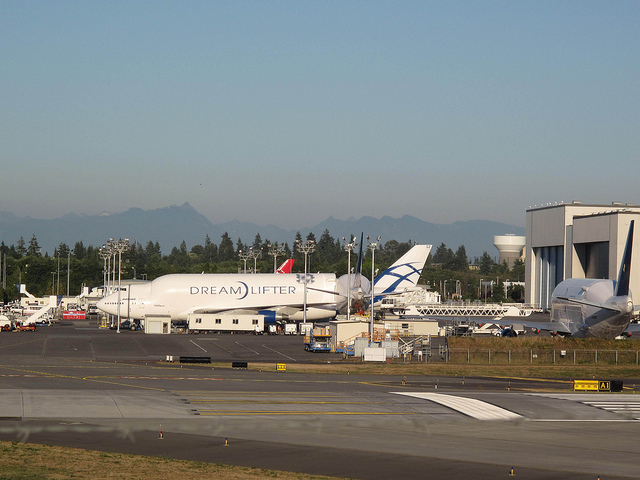 Not enough time to take the Boeing Tour, but enough to go check out the airfield near the Future of Flight Museum. There were several wonderful things about the experience. The day was lovely, warm and sunny. Mt. Baker was hoovering in the background. There were a bunch (30+) planes on the field. But best of all, I think, was the fact that the Boeing Co. was thoughtful enough to create berms that provide a view of the field. There were a bunch of people out checking out the planes, and many of them appeared to be fathers and their children. This is the kind of thing that memories are made out of! 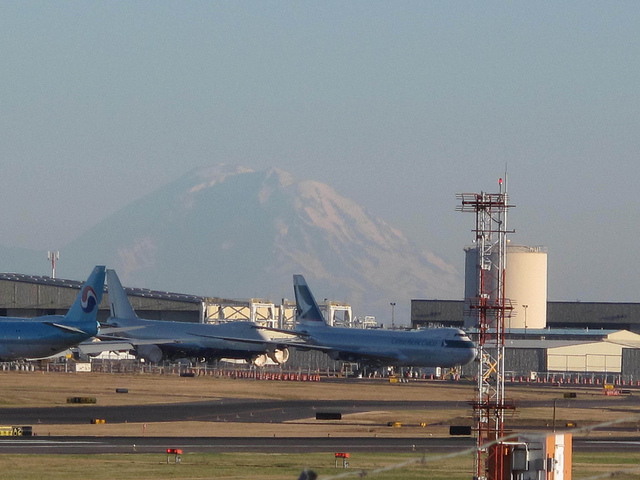 This entry was posted in Everett, Industry, Museums, Travel, WA State - Snohomish and tagged aircraft, Boeing, Everett, Mt. Baker, planes, WA on August 27, 2011 by admin.